The FX cart is a SUPER HEAVY DUTY forward folding unit for use with the 9-bar flexible harrow section (Flex 9). The forward folding feature makes it very easy to back the unit up when it is attached to your disc or field cultivator. 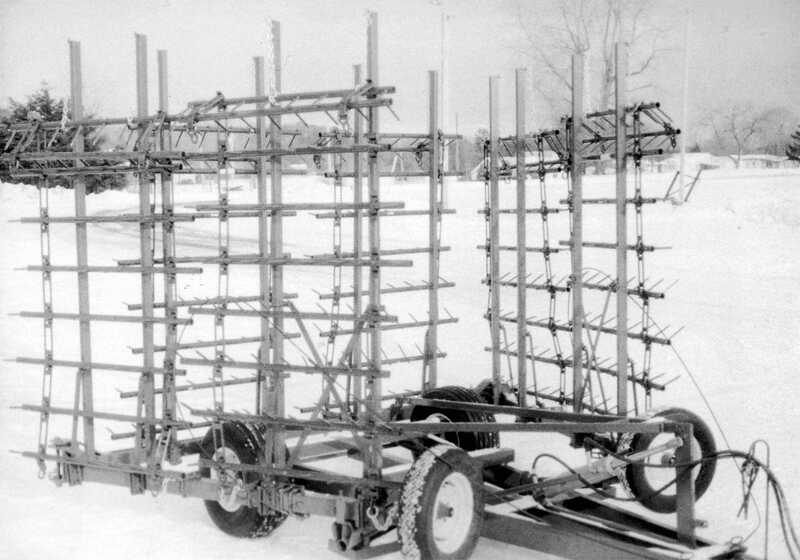 The FX cart has an easy to use fulcrum system for raising and locking the wing booms into transport position on 4-section units. 6-section units come with hydraulic forward fold as standard equipment. 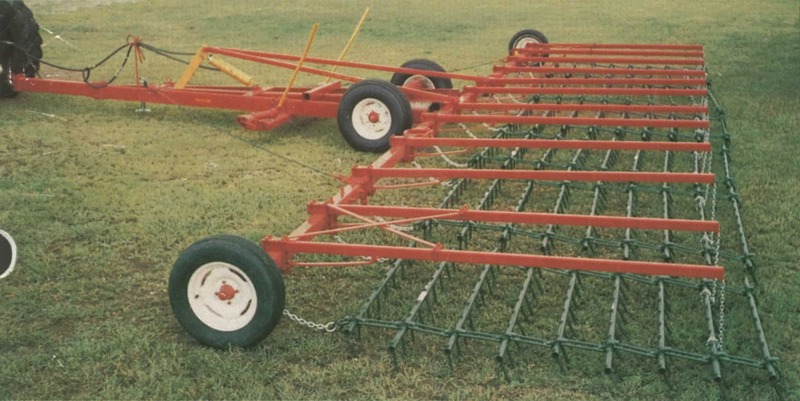 The FX cart can be modified to handle standard 5-bar flexible harrow sections also. 6” channel iron cart sides. All hydraulic cylinders are furnished. 4” sq. High Strength Tubing in Tool Bar. 11L x 15 tires required for cart. P205/75R15 required for wing boom, if an auto kit is not installed. OPTIONAL UFX-1100A Hydraulic Forward Fold Kit is available for 4-section units.